Senior Bathroom Safety: Is a Walk-In Bathtub Right for Me? As we age, we realize that certain daily tasks become a little more difficult. According to the Centers for Disease Control and Prevention, every year about 235,000 people visit emergency rooms because of injuries suffered in the bathroom, and almost 14 percent are hospitalized. If you feel as if your bathing routine is cumbersome or even problematic, you may want to consider a walk in bathtub. While these types of tubs are not for everyone, they can bring significant benefits such as making bathing easier and also safer for those with limited mobility or decreased energy due to age or disability. Do you need to know more about the benefits of walk-in bathtubs for seniors? Let's take a closer look at these types of tubs and why replacing your existing tub or shower may be the right decision for you. There are several types of walk in bathtubs, just as there are many types of traditional bathtubs. A seat keeps you comfortable while bathing. The door to allow you access to the walk-in bathtub will either swing inward or outward depending on the model and seals tightly. It may be just a soaker tub or have water or air jets to provide relaxing massage. While you are sitting easy, the tub fills with water to allow bathing without standing or having to lower yourself into a traditional tub. That means you don’t have to get yourself out of it either. You can even avoid the hassle of an outdated shower chair. As a walk in tub is ideally designed for older adults or those with disabilities, there are many safety features available. Some may be options and some may come standard with the model you choose. A simple shower conversion can give you the gift of a non-slip texture or material on the floor to prevent slip and falls. You can add a seat to the tub as well grab bars to increase your mobility and provide support. 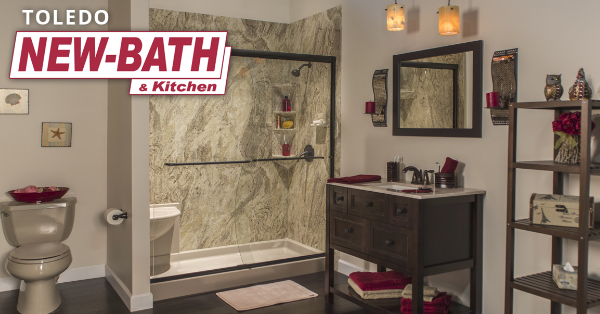 This conversion can be made quite easily with a bath fitter who comes to your home to arrange, prepare, and ensure proper installation and customer satisfaction. For the price of a small bathroom remodel, you can see many benefits both in the short and long term. By making it easier to bathe, it also makes it much safer with no straining, slipping, or extended periods of standing. You don't even have to give up your shower. Many walk in models include a shower you can use while either standing or sitting. When you can take your time in the bath or shower each day, you can ensure hygiene and cleanliness, as you won't be rushing. This also leads to other health benefits. Not to mention, a good soak can help to relieve stress, relax sore muscles, and more. Your home's value may even increase with the safety features of one of these beneficial bathtubs.